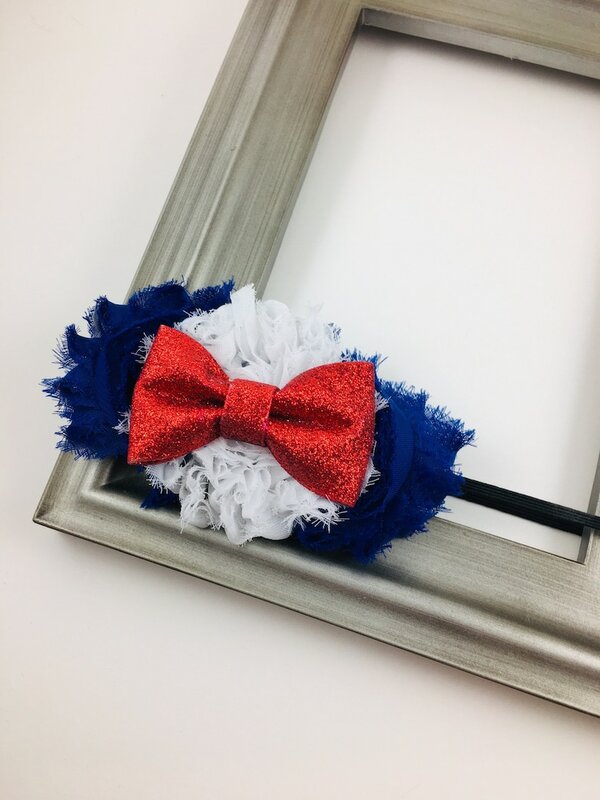 Hair Clip is made up of 2 shabby flowers - one each of White and Blue and a Red Sparkle Bow that have all been attached to a felt backing. This item can be attached to a partially lined alligator clip or a skinny black elastic headband. Clip measures approximately 4.75" in size.